This is for 12 Packs Playing Cards. 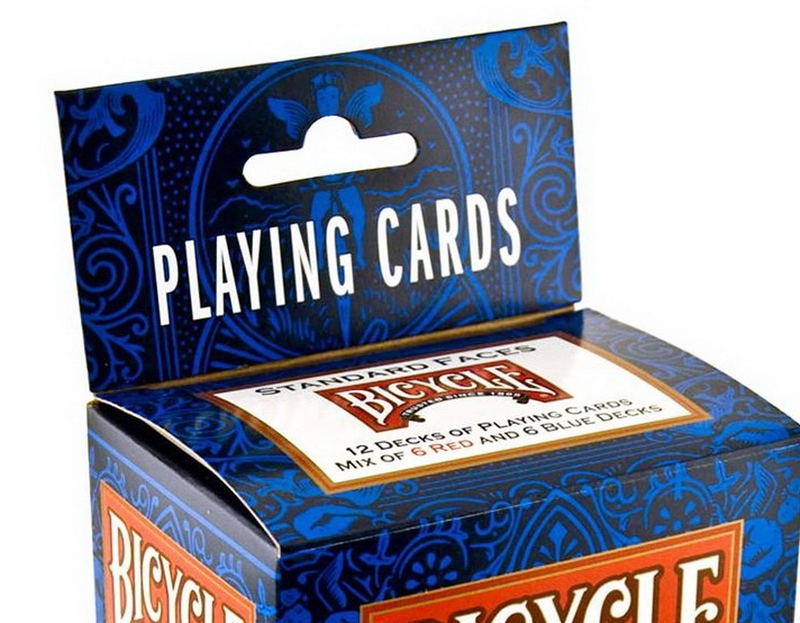 From professional card players to the neighborhood game night, Bicycle? 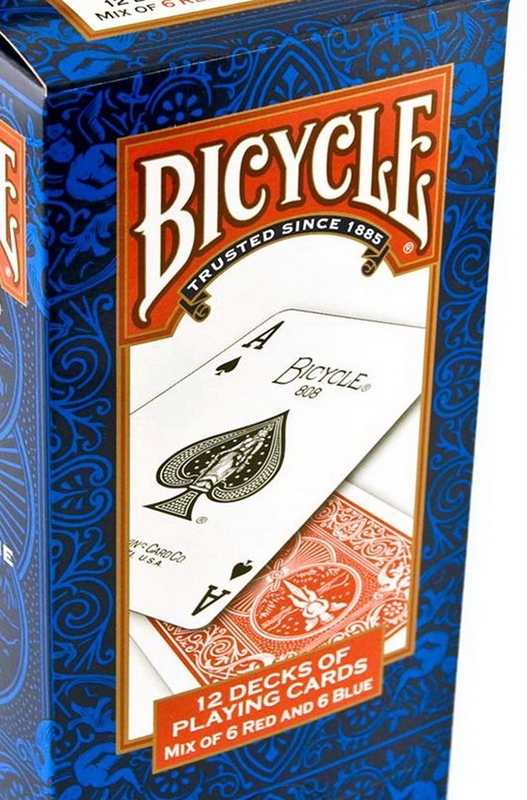 playing cards are part of the gaming tradition. 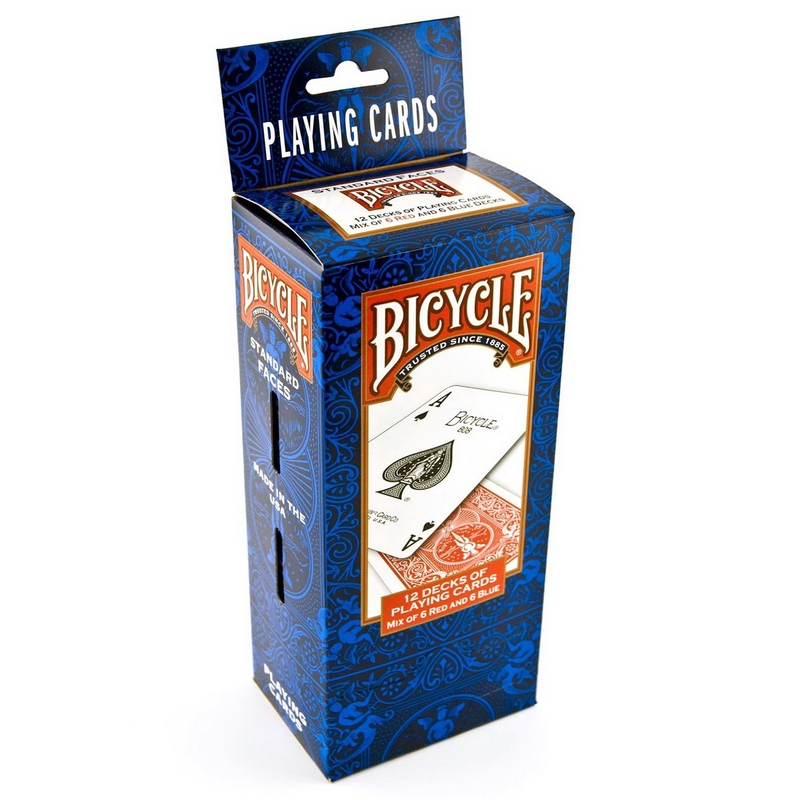 Every Bicycle playing card deck is specially crafted so that you can trust their performance hand after hand. Great for all card games. Great for all players. 6 red and 6 blue packs. These are packaged in gravity feeds of 12.